← Lost in space – do you really need a McMansion? Living green has never been so popular – and now the literal sense of the phrase is also relevant! Pantone named its colour of the year as the rich and luxuriant emerald, but it's not only those deep hues that are coming in to popular fashion. Green was a favourite at this year's Resene Total Colour Awards, and it's hardly surprising why this fresh hue is exploding into the world of paint. Here are three reasons why we think going green will make your friends green with envy! It's no secret that green is the colour of the environment. Bringing the outdoors in has long been a favourite trick of interior design specialists to play with the indoor-outdoor flow in living areas, and it works so well because of the verdant hues creating that calming, natural feel of the outdoors without having to leave the living room couch! With such a colour, it's only 'natural' that it should match and complement many other hues from the colour wheel. For a start, it is ideal for homes with exposed beams or wooden floors, panelling or doorways. Other paints complement various shades of green too. Depending on how bold you want to go, you could pair greens with bright reds, purples or blues for some serious colour-blocking. On the other hand, you can tone green down with soft neutrals, charcoals and creams. 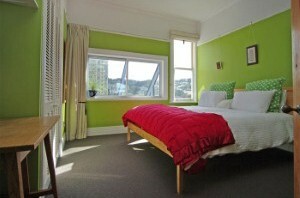 If your home is feeling a little drab, then green is a great way to freshen it up. Such a lively colour will bring vibrancy to any space and make your home look all brand new.